First, she engages in domestic, practical, and artistic activities the children can readily imitate (for example, baking, painting, gardening, and handicrafts), adapting the work to the changing seasons and festivals of the year. Secondly, the Waldorf kindergarten teacher nurtures the children’s power of imagination by telling carefully selected stories and by encouraging free play. This free or fantasy play, in which children act out scenarios of their own creation, helps them to experience many aspects of life more deeply. When toys are used, they are made of natural materials. Wood, cotton, wool, silk, shells, stones, pine cones and objects from nature that the children themselves have collected are used in play and to beautify the room. Sensory integration, eye-hand coordination, appreciating the beauty of language, sequencing, and other basic skills necessary for the foundation of academic learning are fostered in the kindergarten. In this truly loving, natural and creative environment, children are provided with a range of activities to prepare them for later learning and for life itself. What Makes Waldorf Early Childhood Education “Waldorf”? Is there a Waldorf early childhood curriculum? Are there specific activities—puppet plays, circle games, watercolor painting, for example—that are essential to a Waldorf program? Are there certain materials and furnishings—lazured, soft-colored walls, handmade dolls, beeswax crayons, silk and other natural materials—that are necessary ingredients in a Waldorf setting? What makes Waldorf early childhood education “Waldorf”? Love and emotional warmth, rather than any particular early childhood program, create the basis for the child’s healthy development. These qualities should live between the adult caregiver and the child, in the children’s behavior toward one another, and among the adults in the early childhood center. When Rudolf Steiner visited the classes of the first Waldorf school, he often asked the children, “Do you love your teacher?” Children are also served if this love and warmth exist in the relationships between the teachers and the parents, between the early childhood teachers and the rest of the school, and in the surrounding community. Early learning is profoundly connected to the child’s own physical body and sensory experience. Everything the young child sees, hears, and touches has an effect. Thus a clean, orderly, beautiful, quiet setting is essential. The physical environment, both indoors and outdoors, should provide varied and nourishing opportunities for self-education—experiences in touch, balance, lively and joyful movement, and also inward listening. The children should experience large-group, small-group, and solitary activities. The teacher, in integrating diverse elements into a harmonious and meaningful environment, provides surroundings that are accessible to the child’s understanding, feeling, and active will. The care, love, and intention expressed through the outer materials and furnishings of the classes are experienced unconsciously by the child. The child experiences the immediate environment as ensouled and nurturing. The adult shapes the temporal environment as well as the spatial. Through a rhythmic schedule, in which the same thing happens at the same time on a daily, weekly, or monthly basis, the child gains a sense of security and confidence in the world. Also, the different activities of the day should take place in a comfortable flow with smooth transitions. In the early childhood class, the art of education is the art of living. The teacher is an artist in how she perceives and relates to the children and to the activities of daily life. She orchestrates and choreographs the rhythms of each day, each week, and each season in such a way that the children can breathe freely in a living structure. In addition, the teacher offers the children opportunities for artistic experiences in singing and music, in movement and gesture—through eurythmy and rhythmic games—and in creative speech and language—through verses, poetry, and stories. The children model with beeswax, draw, and do watercolor painting. Puppet and marionette shows put on by the teacher are an important element in the life of the kindergarten. Real, meaningful work with a purpose, adjusted to the needs of the child, is in accordance with the child’s natural and inborn need for movement, and is an enormously significant educational activity. The teacher focuses on the meaningful activities that nurture life in the in the classroom “home,” such as cooking and baking, gardening, doing laundry and cleaning, creating and caring for the materials in the immediate environment, and taking care of the bodily needs of the children. This directed attention of the teacher creates an atmosphere of freedom in which the individuality of each child can be active. It is not intended just that the children copy the outer movements and actions of the adult, but that they experience also the inner attitude—the devotion, care, sense of purpose, focus, and creative spirit of the adult. Little children learn through play. They approach play in an entirely individual way, out of their entirely individual ways, out of their unique configuration of soul and spirit, and out of their unique experiences of the world in which they live. The manner in which a child plays may offer a picture of how he will take up his destiny as an adult. The task of the teacher is to create an environment that supports the possibility of healthy play. This environment includes the physical surroundings, furnishings, and play materials; the social environment of activities and social interactions; and the inner/spiritual environment of thoughts, intentions, and imaginations held by the adults. The lively, waking dream of the little child’s consciousness must be allowed to thrive in the early childhood group. This means that the teacher refrains as much as possible from verbal instruction. Instead, her gestures and actions provide a model for the child’s imitation. Familiar daily rhythms and activities provide a context where the need for verbal instruction is reduced. Simple, archetypal imagery in stories, songs, and games provides experiences that the children can internalize but that do not require intellectual or critical reflection or explanation. Out of these early, all-pervading experiences of gratitude, the first tender capacity for love, which is deeply embedded in each and every child, begins to sprout in earthly life. This is the basis for what will become a capacity for deep, intimate love and commitment in later life, for dedication and loyalty, for true admiration of others, for fervent spiritual or religious devotion, and for placing oneself wholeheartedly in the service of the world. The teacher’s earnestness about her work and her serious striving must be balanced with humor and a demeanor that bespeaks happiness. There must be moments of humor and delight in the classroom every day. Here we come to the spiritual environment of the early childhood setting: the thoughts, attitudes, and imaginations living in the adult who cares for the children. This invisible realm that lies behind the outer actions of the teacher has a profound influence on the child’s development. The spiritual environment includes recognition of the child as a threefold being—of body, soul, and spirit—on a path of evolutionary development through repeated Earth lives. This recognition provides a foundation for the daily activities in the kindergarten, and for the relationship between adult and child. Such an understanding of the nature and destiny of the human comes out of the inner life of the adult, the life of the individual Ego. This is a realm that is largely hidden, and hence is difficult to observe directly and to evaluate objectively. Yet ultimately this realm may affect the development of the children most profoundly. It is not merely our outer activity that influence the growing child. What lies behind and is expressed through this outer activity also is crucial. Ultimately, the most profound influence on the child is who we are as human beings—and who we are becoming and how. • the environment and surroundings—urban or rural, home or school or child care center. Many practices that have come to be associated with Waldorf/Steiner early childhood education—certain daily rhythms and rituals, play materials, songs, stories, even the colors of the walls, the dress of the adults, and the menu for snack—may be mistakenly taken as essentials. The results of such assumptions can be surprising, even disturbing—a “King Winter” nature table appearing in a tropical climate in “wintertime,” or dolls with pink skin and yellow hair in a kindergarten where all the children are brown-skinned and black-haired. Such practices may express a tendency toward a doctrinal or dogmatic approach that is out of touch with the realities of the immediate situation and instead imposes something from “outside.” There is a parallel concern at the other end of the spectrum from the doctrinal or dogmatic. The freedom that Waldorf Education offers each individual teacher to determine the practices of her early childhood program can be misinterpreted to mean that “anything goes,” according to personal preference and style. Here too, there is the danger that the developmental realities and needs of the children are not sufficiently taken into consideration. Each of these one-sided approaches may be injurious to the development of the children. As Waldorf early childhood educators, we are constantly seeking a middle, universally human path between polarities. Rudolf Steiner’s advice to the first Waldorf kindergarten teacher, Elizabeth Grunelius, in the early 1920s, can be paraphrased as follows: "Observe the children. Actively meditate. Follow your intuitions. Work so that all your actions are worthy of imitation." Today, those of us who work with young children in a Waldorf environment are challenged to engage in a constant process of renewal. We must actively observe the children in our care, carry them in our meditations, and seek to work consciously and artistically to create the experiences that will serve their development. Our devotion to this task awakens us to the importance of self-education and transformation in the context of community. 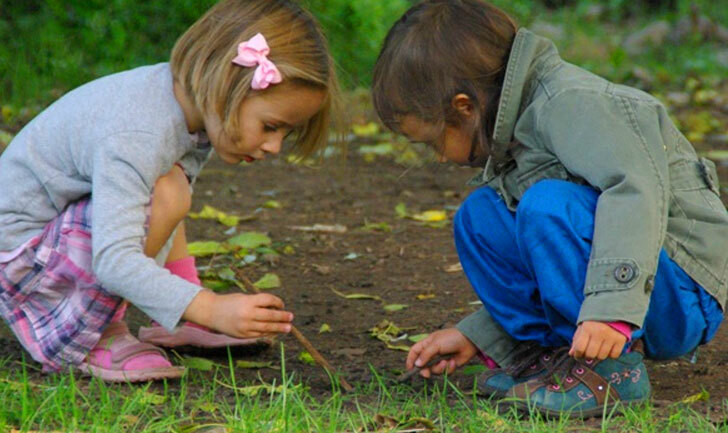 Our ongoing study of child and human development, our own artistic and meditative practices, and our work with Anthroposophy, independently and together with others, become essential elements for the practice of Waldorf early childhood education. Here we can come to experience that we are not alone on this journey. We are supported through our encounters with one another other and with our sharing of insights, experience, and knowledge. We are helped also by those beings spiritual beings who are committed to our continued development and to the renewal of culture that Waldorf Education seeks to serve. 1. Explain in your own words: Academic versus play based learning. 2. Explain in your own words: The value of mixed-age programs. ​3. Describe the Waldorf approach concerning first grade readiness. Submit the completed assignment via the submission form or via email. Why Not Introduce Academics Early? When Is Your Child Ready for First Grade? What Happens Around Age Seven? What about the Advanced or Gifted Child? Parents naturally want to give their children the best start in life and do everything they can to ensure their intellectual development. In earlier chapters we indicated that the best thing you can do for your baby's cognitive development, once she starts to crawl, is to childproof your home and let her explore freely while she is near you. The baby needs to move and explore, and the objects in your home provide better stimulation than many expensive educational toys. Once your child becomes verbal and begins to ask endless questions, there is a tendency to start providing rational and scientific answers. In Miseducation, Elkind points out that we must constantly remember that young children's verbal skills far outpace their conceptual knowledge. Because children's questions sound so mature and sophisticated, we are tempted to answer them at a level of abstraction far beyond their level of comprehension. As he points out, children are really asking about the purpose of things, not about how they work. (1) This gives us so much more room for creativity in answering their "Why?" questions. If we can't come up with a purpose-based answer, there is always the response, "Why do you think?" Or, if you find yourself aboard a train of endless ''Why's," there's always the startling closer, "Why, indeed?" Coming home from the beach, a six-year-old may ask, "Why are there waves in the ocean?" Instead of explaining, we may say, "Come, let me show you," fill the wash-basin with water and blow on it. The child will see the waves, repeat blowing on the water several times and get what is for him a more perfect answer than any explanation could furnish. Speaking about the child's reaction to the ocean, he will notice that the sea at times rises higher and at other times recedes, and ask about it. To answer him by telling him the influence of the moon is not to answer a child at all, who is not ripe to comprehend any more than the rhythmic sequence of the up-and-down movement of the water. The fact that reading problems have increased and test scores have failed to improve using this approach has only produced greater pressure for kindergarten teachers to pound reading and math into young heads. Today even kindergarten teachers must use standardized curricula and make sure children can pass standardized tests that determine a school's standing and funding. Georgia's universal pre-kindergarten curriculum includes language, literacy, and math concepts. Although kindergarten teachers across the nation are increasingly unhappy, they feel powerless against the school boards and state legislators who keep mandating what they teach. However, the rejection of early academics noted in 1987 never really took hold because of the digital revolution. Parents suddenly became worried that if their three-year-old wasn't computer literate, he or she would be locked out of success in the future. And some legislators felt that computer instruction was the tool that had been missing for teaching preschool children how to read and do math. Parents began buying software for their toddlers, and preschools were pressured to include computer instruction in their curriculum. Questions about both the value and the misuse of computers in education have been explored in depth by developmental neuropsychologist Jane Healy in her book Failure to Connect. Through reviewing hundreds of studies, trying out hundreds of computer programs for children, and visiting hundreds of schools, Healy concluded that there is no advantage— and there may even be disadvantages—for children under the age of seven to use computers at all. For children in elementary school, she gives excellent guidelines for assessing and buying programs that really teach, and she also describes the importance of paying attention to factors such as how much screen time the child is putting in, the amount of glare he experiences, his posture, and so forth. Her book is a must-read for all parents and educators today. Both Maria Montessori and Rudolf Steiner recognized that the young child should not be taught cognitive work directly. Montessori said that the child should be taught through the body, hence the wealth of special equipment (not called "toys") in a Montessori program for teaching such concepts as geometric shapes, weights, and so forth. Steiner went even further and said that concepts shouldn't be taught at all to children before the change of teeth. He placed the emphasis on creative play, imagination, imitation, movement games and fingerplays, crafts, and artistic activities until the physical body is more developed and the energy needed for its intense early growth is freed for forming mental pictures and memory work. Today virtually all children attend kindergarten, and 63 percent of all parents say they plan to start sending their child to school by the age of four. This is more than four times the 1965 rate, and it will probably become greater as an increasing number of school systems and government-funded programs become available for younger and younger children. Well-off families can usually afford private preschools, and children from low-income households are eligible for Head Start—although there are not enough places available to meet the need. As an increasing number of states pay for at least one kind of pre-kindergarten program, the problem is that enrichment programs not only become the social norm but also soon become required by law. When Zell Miller, then governor of Georgia, first proposed the idea of publicly funding pre-K in 1992, his plan was denied as "state-sponsored babysitting." Georgia's universal pre-K program rapidly went on to serve more than 61,000 children, and Miller went on to advocate mandatory enrollment. When New York began funding pre-kindergarten programs, whose students had to be chosen mainly by lottery, it was with the goal of providing universal access. Unfortunately, no one is supporting—let alone funding—at-home mothering. Even mothers who don't need to work appreciate the social and learning experiences a part-time preschool program provides for their child, and the free mornings can give them needed time away from children or time alone with a new baby. The experiences of life provided in a preschool or kindergarten can often be provided at home just as well as they can in a formal program. There is no need to seek out preschool if you and your child are doing well at home; there is also no need to avoid it or feel guilty if your child is eager to play with other children and welcomes the activities a play-based program can provide. LifeWays North America developed its "home-away-from-home" model to meet all of these needs without relegating children to an institutionalized model of care. When you find a program that you are interested in, you will want to arrange a visit to talk to the director and see what the children are doing. Talk with the director about her background, her philosophy, and the type of program she offers. Ask about staff turnover and meet the teachers. Arrange to visit and observe the program in action. Above all, make sure there is a rich oral language tradition (stories, songs, and games) and that ample time is allowed for play that is self-directed and serves no other motive than the child's own. You will also want to consider the hours of the program. If you are working full time, you will probably be looking for a full-day program. If you are able to stay home with your child, you will probably want to consider a more gentle transition. For young children who are used to being at home, attending a half-day program two or three days a week is often the best way to start. Take your cues from your child and find a program that balances your needs and his. Is there a rhythm to the day, providing a structure within which there is time for both large movement and guided activities? Is there an appreciation of the importance of imaginative, self-directed play, and toys to support it? Do the children play outside every day? What equipment is available? What is the teacher's background, training, philosophy, and experience in teaching or mothering? What does the teacher hope the children will learn? Early reading, desk work, and workbooks don't meet the young child's needs. Are there artistic activities such as painting, coloring, and crafts? What role does music play in the program? Is all the music recorded, or are there singing and movement games? Do the children watch television or play with computers? Screen time is best avoided by young children. How many children are there? How many teachers? Does it feel calm or hectic? What is the environment like? Is it safe? Is it beautiful? Is it warm and homelike? Does the teacher love the children? Waldorf early childhood programs—whether freestanding or connected with a Waldorf school—are modeled after a good home environment and provide a nurturing program based on an understanding of the young child's special developmental needs before the age of seven. 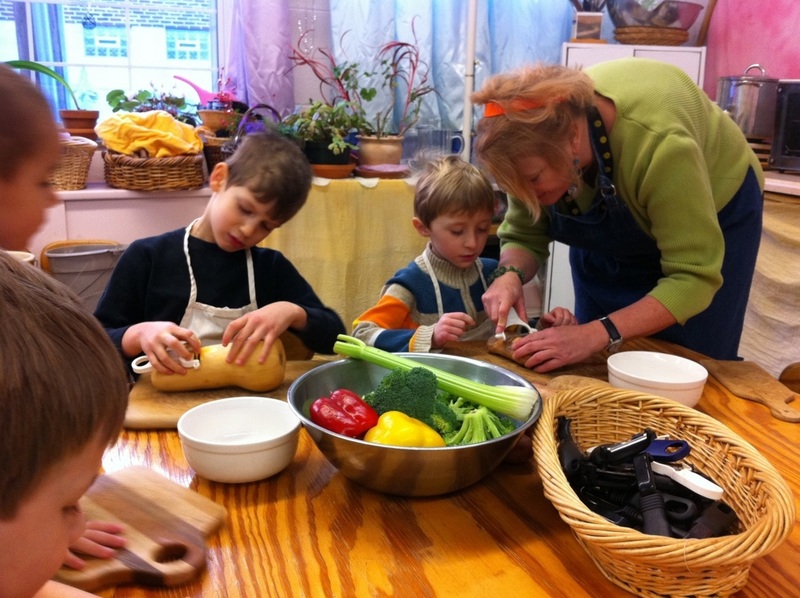 Although Waldorf schools sometimes have mixed-aged kindergartens with children from two and a half to six years old in one group, more often they have separate nursery and kindergarten classes. To ensure a more homelike, mixed-age environment for the younger children—and to meet the child care needs of parents with infants and toddlers as well—the LifeWays approach was developed by Cynthia Aldinger out of the indications of Rudolf Steiner and contemporary educators. In LifeWays centers or in-home programs, infants through five-year-olds are together in "family groups" with the same caregiver year after year. Mixed-age, relationship-based care has the advantage of replicating the experience of a large family: the older children provide a model for the younger ones and help them, while the little ones bring a softer element to the four- and five-year-olds. And as they stay in the program for several years, those who were once the younger children in the group get to experience being the bigger children. The special needs of the older children are met at the LifeWays Early Childhood Center in Milwaukee through an onsite "preschool," which they attend three mornings each week. Here the older children from each family group come together for a Waldorf-inspired program that emphasizes stories and activities for the older children. Children in LifeWays programs typically go on to kindergarten in local public or Waldorf schools. Interest in Waldorf education and LifeWays is expanding dramatically throughout North America, and many new school- or center-based and in-home programs are being founded each year. A list of members can be found on the website of the Waldorf Early Childhood Association (www.waldorfearlychildhood.org), and a directory is available at www.lifewaysnorthamerica.org. The following description of a typical day in a LifeWays program may serve as a more detailed guide for things to look for in a relationship-based program, even if there is no LifeWays or Waldorf school in your area. The understanding of the young child and the activities suggested can be incorporated into home life or into existing child care or preschool programs. Some readers may even become inspired to find out more about the LifeWays training and perhaps open their own in-home program! Let's take a look at a child's day as it might occur in a LifeWays program. As an example, I'll describe a schedule I've used at Rainbow Bridge, an in-home program with twelve one- to five-year-olds, a lead teacher, and two assistants to help with all the cooking, snowsuits, and pottying. The morning typically consists of creative play, varied activities, a story, singing games and fingerplays, snack and lunch, and outside play. Some children go home at 12:30, while others stay for a nap and are picked up at 3:30. Outside play. Parents and children are greeted, and most children head straight for the sandbox, where the older children are already hard at work building tunnels and "bug traps." Starting with outside play allows for the different arrival times of children. I am usually outside to receive the children, and those who are cold or want a gentler start to the day can go inside with another teacher and help her cut fruit for the morning snack. Morning snack and songs or story. Children are gathered with a song and go inside for hand washing and lighting a candle before singing blessing songs at the table. A different child is selected each day to serve the food by taking around the bowls of fruit, and the other children are consoled by the promise that they can serve another day. We listen for "thank you's" and model how to ask for more. The art of conversation is developed, often augmented by an ongoing story about a character I have made up, such as Mauie the cat or Pirate Jack. All the children, even the littlest, learn to sit at the table until the candle is blown out with a song. Dishes are then put in the washbasins and children wipe their hands and faces and their table space with a washcloth. When everyone is finished, the children join me in singing "Red Bird, Red Bird, who will you choose today?" and eagerly wait for the red felt bird suspended from a stick to visit the nests they have made with their washcloths. As each child is chosen, the child puts his or her cloth in the bowl and may leave for free play. Creative play and activity. Within a few moments, we might see several boys and girls in the home area, cooking and playing with the dolls. Nearby, three children are moving blanket stands to make a house covered with a sheet. A two-year-old has put on kitty ears and is meowing at the door, while a one-year-old wanders happily from area to area, taking it all in. Another boy puts on a cape and crawls under the table with two standup dolls. Two other boys have tied knitted ropes to wooden fish and are being fishermen. One of us begins to fold the towels and washcloths from the laundry and immediately has helpers with folding and "delivery drivers" to take the stacks. In a while, one of the teachers starts to chop vegetables for lunch and is joined by three children who work with their own cutting boards and table knives. The room becomes filled with the ebb and flow of the children's play. Two children have become engaged at the workbench, and both want to use the wooden hammer. The nearest adult suggests one child ask, "Can I have it when you're done?" and agrees that it's hard to wait. "What can we find to do while you're waiting?" she asks, guiding the child to use the screwdriver to fix the truck instead. By now the cook of the day is sautéing the vegetables and mixing them into the grain from the rice cooker, all with the help of one or two children. The other teacher has finished folding the laundry and moved to the couch, where the other one-year-old climbs up for a snuggle and to look at a stiff-paged book together. The transformations are endless as the children's play unfolds over forty-five minutes to an hour. The room could seem chaotic to a casual observer as the children experience the world through their inner-directed play. We watch attentively and help as needed by tying on a costume or helping two children take turns with a contested object. We are happy to be brought things as part of the children's imaginative play and will interact with them, but we rarely get down and play with the children or interrupt them except as necessary for safety or to resolve conflicts that they don't work out themselves. We remain aware of everyone in the room while doing household or craft work whenever possible. In this way the children not only see a model of real work, but this activity can also be transformed by them and incorporated into their play. During this time, an activity such as bread baking or coloring might be started at the table, and children join in as they are drawn to it. Also during this time children go to the bathroom and diapers are changed—it's a busy morning! Circle time. A song tells the children it is time to put all the toys away, and a little gnome comes out of his house to see what good workers they are. When everything is in its place, another song brings the children to morning circle. With a mixed-age group, I like to start with "Ring Around the Roses," which is simple enough for the youngest and still a favorite of the five-year-olds. It is followed by a greeting song, and then fingerplays or a simple circle game, before the children are dismissed to the lunch table. Hot lunch time. We wash hands for lunch, which consists of hot grains with organic vegetables and occurs around 11 a.m. in our program. The children sing a song of thanks for the food and then talk with one another while they eat. This is a good time to tell a fairy tale that can nourish the older children while the younger ones are occupied with their food. From the table, Red Bird again slowly dismisses the children to start getting ready to go outside. Outside play. The children play outside for about forty-five minutes. They eagerly play on the slide, teeter-totter, and climbing dome. There is also a sandbox, crawling tubes, and a large playhouse. There is a deck, grass, and small bushy area we call the "fairy woods." Some children are picked up by their parents at 12:30, while the others come in then and gather around the table for some juice, cheese, and raisins (believe it or not, it has been an hour and a half since the start of the last meal). Then they go downstairs to brush their teeth and take their nap. Afternoon nap. We are great believers in the health-giving powers of sleep after an active morning, and all of our children nap, including the five-year-olds! Some days we have as many as ten children napping, divided between two rooms. The teacher or assistant makes sure each child is cozy, sits and sings or plays the kinderharp in the darkened room, and then sits quietly and yawns for a while until the children are asleep. Afternoon play. Afternoons are very sweet. The children are very different when they wake up from a nap, and it's a time to read a story together or gently brush a child's hair as he gradually reenters our shared world. Because the children wake up at different times, it is easier to give them individual attention before they start to play or are gathered for yet another snack (eating is mandated every hour and a half by our licensing requirements, which is just right for me!). In addition to establishing a daily rhythm, which anchors the children, we change activities and stories according to the seasons of the year. These activities might include taking walks and collecting seasonal items for the nature table, baking seasonal foods, making objects for annual festivals, and participating in outdoor activities such as making leaf crowns or planting spring bulbs. Much of the preparation that the adults at the LifeWays program do relates to the rhythm of the year and the children's experience of it. This is reflected in the daily activities, the changing decorations in the room, and the special activities that are planned, such as a walk to the park to gather acorns in the fall, planting flowers in spring, or doing wet felting outdoors in summer. With a mixed-age group, activities take place on many levels simultaneously, depending on the child's age. For example, older children will typically be drawn to watercolor painting, while the two-year-olds will come over and watch in awe, also wanting to participate (or not). The one-year-olds typically continue in their dreaminess—although some are very demanding about wanting to be at the table, too! Stories from various levels are told in mixed-age classes. Older children still love hearing a simple story like "The Three Little Pigs," while the youngest children will be carried along by the group when a more complicated story for older children is being told. The same story will be told for several weeks and then might be presented as a puppet play with table puppets or silk marionettes. Direct intellectual teaching does not take place in a LifeWays program or Waldorf kindergarten. There are no exercises in reading readiness or doing pages from math workbooks. Nor are shapes and weights manipulated to learn concepts such as "triangle" or "heavy" and "light." The child is allowed to take in the world through his senses and to participate in it through movement, artistic activity, and play. It is recognized that one of the tasks of early childhood is the healthy mastering of bodily skills. As a result, we often do fingerplays and movement games to help the children develop coordination and the formation of speech. These activities also can form the basis for later mathematical learning, as the rhythmical counting paired with body movements forms a valuable foundation in the body for number and rhythm. Similarly, the transformation of one object into another in creative play provides a concrete basis for the more abstract manipulation of symbols involved in reading. Developmental steps are not skipped or hurried. Rather, there is a confidence in the unfolding of the young child according to the patterns of nature and the stamp of the child's own individuality. Many times children who can already write the alphabet or even read enter a Waldorf kindergarten. However, the children are not provided time to practice such skills. Because their days are so full of creative play, stories, puppet shows, crafts, and artistic activity, they are fully engaged and often do not even notice that they aren't reading or doing mathematics. And the rich experience they receive in the Waldorf program can serve as a balancing force for the early intellectual development they have experienced. Because the environment is so important for the young child, a great deal of care is put into creating an environment that is nourishing and inviting to the children. When schools are built according to Steiner's indications for architecture, the early childhood rooms can feel as if they embrace and surround the children with their curves, cubbyholes, and play areas. When this is not possible, it is best to use an actual home or make an existing building as homelike and comfortable as possible, in contrast to the institutional feel of most corporate child care settings. For example, lights and right angles can be softened by hanging colored cotton gauze or silk in the corners and in front of light fixtures. A couch and a "cozy corner" created with sheepskins and pillows can also soften the feeling for the children. Beautiful items, natural materials, and pastel colors replace the chrome and plastic of many conventional programs. In addition, lofts and play areas under them can be built using wood. Many LifeWays and Waldorf program locations are painted a light rose color that Steiner called "peach blossom." It is a color that reflects the lightness of young children, who have not yet fully arrived on earth. A special method of painting called "lazuring" uses washes of various colors on a wall to give an impression of depth on a flat surface. Using this technique, murals or images can be painted to suggest forms in a very soft, beautiful way. The room is decorated with seasonal motifs, such as a nature table, tissue paper pictures on the windows, and decorated branches. Toys are made from natural materials and are arranged in activity areas or little scenes that invite imaginative interaction. The attention to detail and beauty will be reflected in the mood of the children and the quality of their play. Waldorf nurseries and kindergartens often appear deceptively simple. Everything flows so easily and looks so effortless. The tremendous amount of work by the teacher is mostly invisible, except as it is felt by those who know children and who can sense the mood the teacher creates. Someone from another preschool program visited our preschool home in Ann Arbor, Michigan, and was surprised by how peaceful it was with twelve children in such a small space. The being of the teacher and the physical and emotional environment she or he creates are what really nourish the children. In a LifeWays program, less of the preparation is done behind the scenes than in a Waldorf kindergarten. The teacher attempts to do most of her work while the children play and is less concerned with craft projects and other activities that would involve the teacher doing most of the work for the children. This leaves the teacher freer to be in relationship with the children, which is vital for young children. Because the teacher is constantly an example for the children, she pays special attention to the quality of her movements and the tone of her voice. She does many things with the children, such as preparing the snack, telling a story, or leading the circle games. However, she also accomplishes a great deal just by her being, by who she is. She tries to put aside her own problems and emotional upsets so that she is as clear as possible when she is with the children. She needs to get enough sleep and to have her own meditative practices to remain centered and to keep the rest of her life in order. Her role with the children is similar to a meditative state of awareness: she is aware of everything, totally in the present moment, not thinking about other things—just there with and for the children. Being with young children often involves more being than doing. It's hard to make everything simple enough. We tend to think that we have to stimulate and provide things for the children, when our more difficult task is to provide them with the space to be themselves, to experience and grow and try on the world and its activities under the guidance and protection provided by the adults. Because the young child is an imitative being, the teacher simply begins each activity and the children follow along. She doesn't announce, "Now it's story time," or "Let's take hands for circle games." Instead, she simply takes two children's hands and starts singing and moving with the intention that everyone will join in, and they do. Story time may begin with the same song every day, or the teacher may light a candle or put on a special storytelling hat or apron and play a few notes on the kinderharp. Whatever she has chosen, the children soon learn what will follow. Whenever possible during the children's free play, the teacher provides an example of work from real life—tending to the baby, sawing wood or gardening during outside play, making something for the preschool. The children can often help with the activity itself, such as by cutting fruit for snacks or winding yarn, and the activity will also appear transformed in their play. For example, if the teacher is sewing, a few children will want to get out their first sewing basket, while another might go off and pretend to sew something with her fingers. The warmth and love of the teacher for the children involves really taking on their care as a trust, in conjunction with the parents. Thus the teacher needs as complete a picture as possible of each child before accepting him or her into the program. She will observe the child if possible and have an in-depth interview with the parents: how was her birth; how did she develop; what does she like to play; are there any health problems; has she been in other child care or preschool programs; what are the parents' hopes and expectations? The teacher needs to feel that she can really take on this child, and that she can work together with the parents for the child's growth and well-being. The parents also need to evaluate the teacher and the program and make sure that this is where they want their child to be. Once a child has been accepted, the teacher tries to visit the family at home to get a picture of the child in his or her own surroundings, to meet any brothers and sisters or pets, and to see the child's room. In addition to helping the teacher better understand the context in which the child lives, such a visit provides a wonderful link for the child between home and school, a sense of interpenetration of the two worlds that is very supportive. The teacher's work does not stop when the children go home. She must not only clean up and arrange things for the next day's activities, but also work with the parents through parent evenings, conferences, toy-making workshops, and so forth. At night the teacher visualizes each child and takes the image into her sleep. This practice not only supports the child and his connection with the teacher, but it can also provide the teacher with inspiration if a child is having particular difficulties. The attitude of the teacher and the understanding gained by working out of the indications that Rudolf Steiner gave about the developing human being are the most important elements of the program described above. Simply having dolls without faces or block-shaped crayons does not a LifeWays or Waldorf program make! The activities suggested in this book are appropriate for all children and are really suited for the young child. Because of this, they can be incorporated into home life and into existing child care and preschool programs with very positive results. But one needs to distinguish between "a bit of this and a bit of that" and a fully developed LifeWays or Waldorf program. The Waldorf early childhood teacher training is a two-year full-time program, or its equivalent over four summers, and qualifies the graduate to teach in a Waldorf school; the LifeWays certification combines part-time classroom experience with guided mentoring over nine to thirteen months and can lead to starting one's own LifeWays program in either a home or a center, being an assistant in a Waldorf school, or being a more satisfied and more centered, creative parent. Resources on both types of training can be found at the end of this chapter. Many parents who are trying to incorporate these ideas and recommendations about young children into their home life are faced with the dilemma of being unable to get away to take an extensive training at just the time when they could use it most! LifeWays has addressed this dilemma by meeting quarterly or over one weekend each month so the time away from the family is as little as possible. Other parents have confronted this dilemma by connecting with resources online as they work to apply these principles in their own homes. Another valuable resource can be to start a playgroup together with other parents who share the same interests and ideals. If you can find a group of interested parents, you can take turns being with the children while the other parents share resources and discuss questions they have about their children. It is also possible for group members to share craft and festival celebrations and to select a book for study and discussion. Several recommended titles—in addition to this book—are listed at the end of this chapter. If you find yourself alone in working with these ideas, you will need to keep studying and find support through networking as you attract more like-minded people. Many parents who want to provide this kind of experience for their child often find other families attracted to what they are creating in their home. If the parent is interested, this can lead to forming an in-home program for young children, or a "Saturday club" or an after-school enrichment program to bring some of the Waldorf activities to older children who are enrolled in public schools or who are being taught at home. Waldorf education was started for the children of the workers in a factory in Stuttgart in 1919. It embraces children of all economic and intellectual levels and welcomes children from all cultural backgrounds. This has resulted in its becoming the largest private school movement in the world. The principles of Waldorf education are neither elitist nor reserved for the relatively small number of children who live near Waldorf schools. Its principles are universal and can be applied to all children. Waldorf-oriented charter schools are arising in many areas throughout the United States, and many parents are using a Waldorf approach in homeschooling their children. In our highly technological society, the view of child development and the principles of education initiated by Rudolf Steiner (and further developed by thousands of Waldorf teachers over the past hundred years) need to become known to more and more parents for the healthy development of young children. The quality of life in the home and the preschool environment is perhaps even more important than what kind of elementary school the child attends. As Antonia grew from the suite baby to a big girl helper, I saw her complete her first journey through stages of maturity. She gently and gradually gave up her babyish ways, replacing old behaviors with new ones. There were no startling jolts so often imposed on children going from one year of schooling to the next. At LifeWays, Antonia learned to get along with other children in a confident, positive, and constructive way. She went from one who received the lion's share of attention as an infant to one who gave her attention to caring for little ones around her. She became someone who shared her toys, cleaned up willingly, worked out conflict, and gladly obeyed the rules and routines of LifeWays. In "Pupil Age at School Entrance—How Many Are Ready for Success?" James Uphoff and June Gilmore reported marked differences in school performance and emotional adjustment between children with summer and fall birthdays, who were less than five years and three months of age when they entered kindergarten, and those with birthdays the previous summer, who had been given an extra growth year and were as old as six years and three months when they entered kindergarten. The older children in a grade tend to receive many more above-average grades from teachers than do younger children in that grade. Older children are much more likely to score in the above-average range on standardized achievement tests. The younger children in a grade are far more likely to fail at least one grade than are older children. The younger children in a grade are far more likely to be referred by teachers for learning disabilities testing and subsequently be diagnosed as being learning disabled than are older students in a grade. Regardless of a school system's cutoff dates, parents together with teachers must decide whether an individual child is really ready for kindergarten or the first grade. Giving a child who has a summer or fall birthday an extra growth year can be a lifelong gift that may put him at the head of the class instead of scrambling to keep up intellectually or socially. If a child is kept in kindergarten a second year, or needs to go into a "pre-first" program, in no way should the parents regard the child as a failure or learning disabled. Remember that developmental maturity has no correlation with IQ. If the parents feel positive about the decision and take responsibility themselves, the child can adapt well and the extra year can have lasting benefits. Parents sometimes find it hard to explain to grandparents why they are keeping their child in kindergarten for two years, but the advantages for the child are worth the effort if you are feeling pressured to keep your child going through the system when he is showing signs of not being ready. Between the ages of five and seven you will see many dramatic changes in your child. In terms of the development of memory, your child may say something like, "I can see grandma anytime I want to now," referring to an emerging ability to call on mental images at will. He may also tell you more of his dreams. You will notice a kind of logic appearing in speech that represents a new level of thinking and is expressed in words like "because," "so," "if," and "therefore." This new ability is expressed in creative play by the love of tying things together with string, like linking one thing to the next with logic. A growing grasp of, and interest in, time will also be apparent. In play you may also see intention manifested as things that are built for other things. For example, a sand structure may now be built as a garage for a car rather than simply for the activity itself. An authoritative element also enters into group play at this age, with a child sometimes directing and sometimes being told who or what he will be. In the sphere of drawing, the individualizing element expresses itself in the use of the diagonal line, such as triangular designs, a ladder leaning against a tree, the stair going up inside the house, or the appearance of the arching rainbow. Physically you will first see the differentiation of the chest or "middle sphere" around age five. The child suddenly loses her round "Buddha belly" and acquires a waist and a neck, showing how the life forces have completed their work in the rhythmic system. As the shift of the growth forces is made to the limbs, the arms will lengthen during this time. This is why an older child will be able to reach directly over his head and touch his opposite ear, while a younger or less developed one will not. Finally, the growth shifts into the legs, and the child will also often start to eat more and will sometimes increase his awareness of digestion (expressed in the frequent stomachaches of some children at this age). At the same time the growth forces are moving into the legs, the features of the face become more individualized and the milk teeth begin to loosen. All of the changes discussed here should be allowed to become consolidated in a play-oriented kindergarten before the child is called upon to exercise the new faculties that are used in learning to read, write, and do math in first grade. Steiner explains the changes around the age of seven as resulting from the life forces completing their work of individualizing the child's physical body: first the head between birth and age three, then the middle sphere between ages three and five, and finally the limbs and hard, bony teeth. Once finished, the forces are freed for development of the memory and schoolwork. According to Steiner, the way to teach the elementary-school child between the change of teeth and puberty is with images and pictures, through which the child is allowed to take guidance from the inner meaning she discovers for herself in the pictures and allegories. What the child sees and perceives with the eye of the mind is a more appropriate means of education than abstract conceptions for the elementary-school child. It is upon this ground of imagination that the later powers of intellect, judgment, and critical thinking will be based. Therefore, all of the subjects—from reading to mathematics to physics—are taught in an imaginative and artistic way in the Waldorf elementary school, providing a rich and nourishing foundation for the faculty of analytical thinking that arises and can be developed in puberty. In the Waldorf approach, reading, writing, and math aren't started until the first grade. Children who start these academic tasks when they are developmentally more mature do not fall behind peers who start earlier in other school systems. In fact, there are definite advantages in delaying instruction in the "three R's" until around the age of seven. Writing is taught in the Waldorf first grade through stories and pictures, and then the children learn to read from what they have written themselves. Just as humans first wrote using picture glyphs before developing the alphabet, so the young child develops the forms and the sounds of the letters through stories and pictures provided by the teacher. In this way the letters and their sounds "live within the child" as vibrant pictures. One morning when she was in first grade, my daughter said, "I dreamed about the letter A. There were all these A's. .. ." The children progress to writing from verses that they know and then "reading" from what they have written themselves. Thus the more abstract work of reading begins toward the end of first grade, and the transition to printed books is generally not made until the second grade. Some people have the mistaken idea that there are no books in a Waldorf school. This is far from true! Although there aren't readers in the kindergarten, and in the first grade children learn to read from what they have written themselves, books with real literary content are introduced from second grade on, and students are never given anything that is condescending in tone or that has been predigested especially for children. Real literature is always used in the classroom, selected according to the reading level and inner maturity level of the children. Waldorf schools have libraries for children's reading pleasure and for doing research in the upper grades. Although reading is taught more slowly in the Waldorf curriculum, math is not. Nothing is done until first grade, but then all four processes— addition, subtraction, multiplication, and division—are introduced. This is possible because the concepts are introduced imaginatively. For example, there might be a story about four gnome brothers: Mr. Plus is fat and jolly with stuffed pockets; Mr. Minus is thin and sad, and all of his jewels keep falling out of a hole in his sack; and so forth. The children work from the whole to the part, first using chestnuts or shells to see that eight is one plus seven, eight is two plus six, and so on. In third grade they walk and clap various rhythms and verses that help make the multiplication tables much easier to learn. When mathematics is made concrete and imaginative, children take to it with delight. A complete listing of the Waldorf curriculum for grades one through eight can be found in the appendix. Waiting until a child is in the first grade before starting academic work has obvious advantages for an average or a slow child, who needs the extra neurophysiological maturity before beginning tasks such as reading and mathematics. However, what about the bright child, who wants to start writing letters or learning to read at age three or four, or certainly by kindergarten age? As children become more aware of the world around them, they want to imitate and learn, and many children will show interest in these activities by age five. Reading and writing are the way of the future for children, so you will want to share their enthusiasm and can harness anticipation by saying, "You will learn more about how to do that when you are in the first grade!" Teaching the first letter or how to write their name will often satisfy this interest for the time being. But it is still too soon to exercise the memory or the intellect directly with sit-down lessons. There is no critical window when you have to teach a child to read or risk his not being interested later on. On the contrary, telling a child "That's what you'll learn when you go to the big school" develops eagerness and anticipation and keeps the young child learning through imitation rather than through direct lessons. By not being taught to read in kindergarten or before, children miss several years of early readers (which isn't missing much), and they are given the gift of the final year or more of early childhood. Direct cognitive work wakes the child up and brings her out of the magical world of early childhood. Children grow out of these years soon enough on their own. Allowing your child to stay in the magical realm of early childhood without pushing cognitive development provides a sound basis for later health and creativity. Especially with bright children, it is important to emphasize balance. It is possible to teach them intellectual skills at a young age and to put them into academically advanced programs from preschool or kindergarten on. The result, however, is often the creation of a forty-year-old in a five-year-old body. Advanced intellectual development in childhood is usually at the expense of the artistic and emotional spheres or the healthy development of the body. Elementary-school education should appeal so much to the child's imagination that the gifted child still feels fully interested and engaged. If that kind of creative education isn't available for the very bright child, you may face some hard choices. You will need to investigate different educational approaches and make your own decisions for your child. I felt it was important to work toward a balanced development of the heart forces, the head forces, and the body/will forces, so that there would emerge a whole human being who would be able to lead a fruitful life and act in service to humanity. The danger of education that emphasizes only intellectual development is that we might turn out thinkers and scientists who are emotionally divorced from humanity and from the consequences of their work for the world. For this reason, I chose for my children an approach to education that emphasized balance rather than a program designed specifically for gifted children. In most communities there are an increasing number of schooling options, including regular public schools, charter and magnet schools, independent private schools, and religious schools. Many parents are also turning to homeschooling as a viable alternative, or pursuing some combination of school and enrichment at home. Making decisions about your child's education is an ongoing adventure, but one that is well worth the research and effort. Endangered Minds: Why Children Don't Think and What We Can Do About It, by Jane M. Healy, Ph.D. (Simon & Schuster). Failure to Connect: How Computers Affect Our Children's Minds— for Better and Worse, by Jane M. Healy, Ph.D. (Simon & Schuster). The Hurried Child, by David Elkind (Knopf). Miseducation: Preschoolers at Risk, by David Elkind (Knopf). Your Child's Growing Mind: A Practical Guide to Brain Development and Learning from Birth to Adolescence, by Jane M. Healy, Ph.D. (Doubleday). Better Late Than Early, by Raymond and Dorothy Moore (Readeds Digest Press). First Grade Readiness: Resources, Insights and Tools for Waldorf Teachers, edited by Nancy Blanning. Available from www.waldorfearlychildhood.org. "Readiness for First Grade," by Daena Ross. CD available from www.waldorfinthehome.org. You're Not the Boss of Me! Understanding the Six/Seven Year Old Transformation, edited by Ruth Ker. Available from www.waldorfearlychildhood.org. Understanding Waldorf Education: Teaching from the Inside Out, by Jack Petrash (Nova Institute). Various videos on Waldorf education, including "The Waldorf Experience" and "Waldorf Education: The Best Kept Secret in America," available from www.waldorfinthehome.org. "The Wisdom of Waldorf: Education for the Future," by Rahima Baldwin Dancy. CD and article reprint in full color, available from www.waldorfinthehome.org. Gateways, newsletter of the Waldorf Early Childhood Association of North America, published twice a year. More information at www.waldorfearlychildhood.org. LifeWays North America. Offers a quarterly e-newsletter. See www.lifewaysnorthamerica.org. Renewal: A Journal of Waldorf Education, published twice a year by the Association of Waldorf Schools of North America. Available from www.awsna.org. Beyond the Rainbow Bridge, by Barbara Patterson and Pamela Bradley (Michaelmas Press). Discusses nurturing our children from birth to age seven, creating balance in family life, and how Waldorf education supports the development of the whole child. Heaven on Earth, by Sharifa Oppenheimer (SteinerBooks). 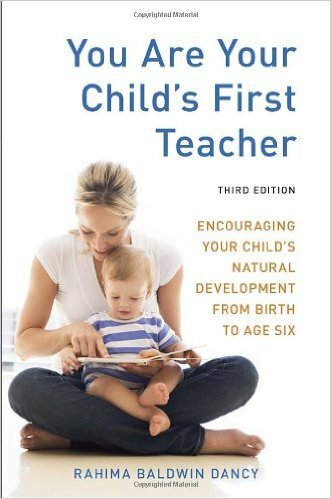 An excellent book that helps parents understand child development and strengthen home life. Lifeways: Working with Family Questions, edited by Gudrun Davy and Bons Voors (Hawthorn Press). Chapters deal with issues of family life. Excellent for a mother's group. Waldorf Education: A Family Guide, by Pamela Fenner and Karen Rivers (Michaelmas Press). Deepens understanding and enriches family life. Waldorf Parenting Handbook, by Lois Cusick (Rudolf Steiner College Press). An introduction to some of the ideas behind Waldorf education from birth through high school. You Are Your Child's First Teacher. Share it with friends and subscribe to my blog at www.waldorfinthehome.org. "Joyful Days with Toddlers and Preschoolers," by Faith Baldwin Collins. Telecourse and other resources from www.joyfultoddlers.com. LifeWays certification in early childhood and human development. Offers part-time classes throughout the country that occur four times a year over nine to thirteen months, plus directed study at home with a mentor. See www.lifewaysnorthamerica.org. Sophia's Hearth Family Center (in Wilton, NH). Offers workshops and programs for parents and teachers in the field of birth to three. At www.sophiashearth.org. Waldorf Teacher Training Programs for early childhood, the grades, or high school. At various locations throughout North America; see www.aswna.org. Kindergarten at Home with Your Three- to Six-year-Old, by Donna Simmons. Book and many other homeschooling resources for the grades from www.christopherushomeschool.org. Live Education! Offers a Waldorf-inspired homeschooling curriculum and advising for grades K—8. At www.live-education.com. Online Waldorf Library. A valuable resource site for teachers and homeschoolers. At www.waldorflibrary.org. "Starting a Waldorf Enrichment Program." DVD of a workshop given by Kristie Burns. Available from the online store at www.waldorfinthehome.org. Various videos on Waldorf homeschooling and curriculum topics such as "Teaching Reading and Writing the Waldorf Way," "Form Drawing," and "Math by Hand" are available from the online store at www.waldorfinthehome.org. Waldorf Without Walls. Consulting and resources for homeschoolers from Barbara Dewey. At www.waldorfwithoutwalls.com. Grunelius, Early Childhood Education, p. 26. Jodie Morse, "Preschool for Everyone," Time, November 9, 1998, p. 98. "Kids Need Time to Be Kids," Newsweek, February 22, 1987, p. 57. Steiner, The Education of the Child, p. 21. Healy, Your Child's Growing Mind, pp. 49—50. Healy, Failure to Connect (New York: Simon & Schuster, 1998), p. 241. Healy, Your Child's Growing Mind, p. 63. S. W. Haughland, "The Effects of Computer Software on Preschool Children's Developmental Gains," Journal of Computing in Childhood Education 3, no. 1 (1992): 15-30. "Kids Need Time to Be Kids," p. 58. Joan Almon, "What Are the Needs of the Five-year-Olds?" Leading Forth, Journal of the Waldorf School of Baltimore 4 (Spring 1988): 5—6. Steiner, The Education of the Child, pp. 28—29. Aldinger and O'Connell, Home Away from Home. Diana Loercher Pazicky, "Just Because a Child Is the Right Age Doesn't Mean He's Ready for School," Philadelphia Inquirer, April 22, 1984. James K. Uphoff and June Gilmore, "Pupil Age at School Entrance—How Many Are Ready for Success?" Educational Leadership, September 1985, pp. 86—90. Pazicky, "Just Because a Child Is the Right Age." Healy, Your Child's Growing Mind, p. 55. Audrey McAllen, "On First Grade Readiness: An Interview with Margret Meyerkort," Bulletin of the Remedial Research Group No. 5, August 1986 (Fair Oaks, CA: Remedial Research Group at Rudolf Steiner College), pp. 12—15. Bruno Bettelheim and Karen Zelan, "Why Children Don't Like to Read," Atlantic Monthly, November 1981.